October 26 – November 1 – Craig and L'Or L.
This week students had exams, so the Institute was kind of quiet Monday through Thursday — but boy, did we make up for it on the weekend! 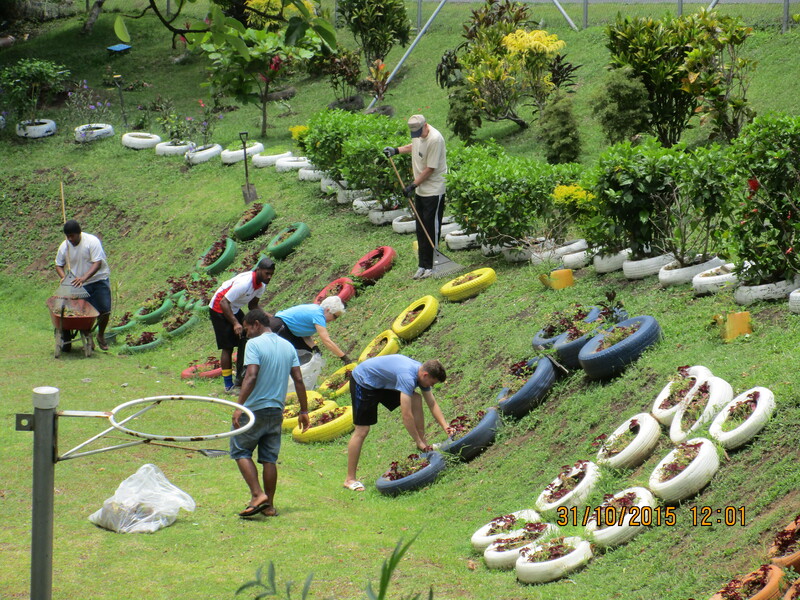 Saturday Morning we started with a service project organized by Suka Qaqa. 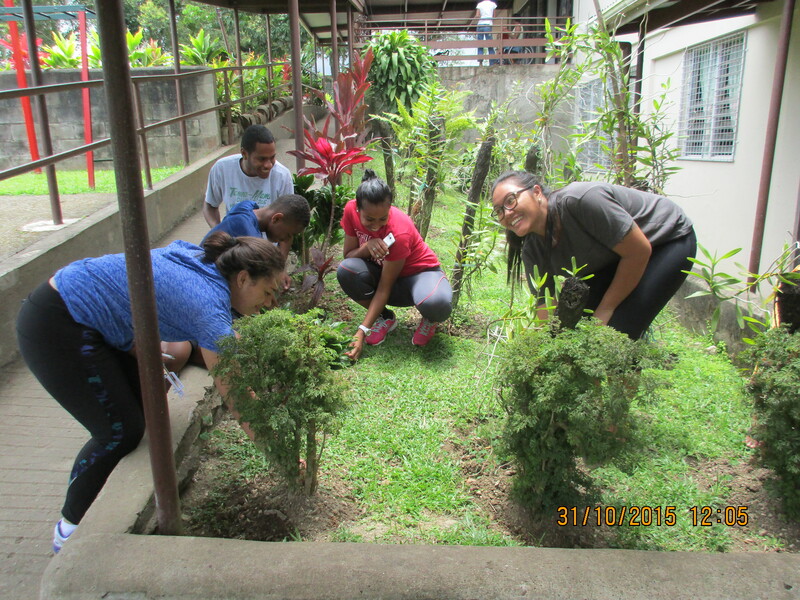 Some of us weeded and cleaned at the Hilton School for children with disabilities, and another group took a bus to an Early Intervention school to weed and clean there. It was fun to work together, it felt good to be in the sun, and Suka provided lunch for everyone – you can’t beat that! We were a little sore afterwards, but it was worth it! Hooray! A job well done — now it’s time for lunch! 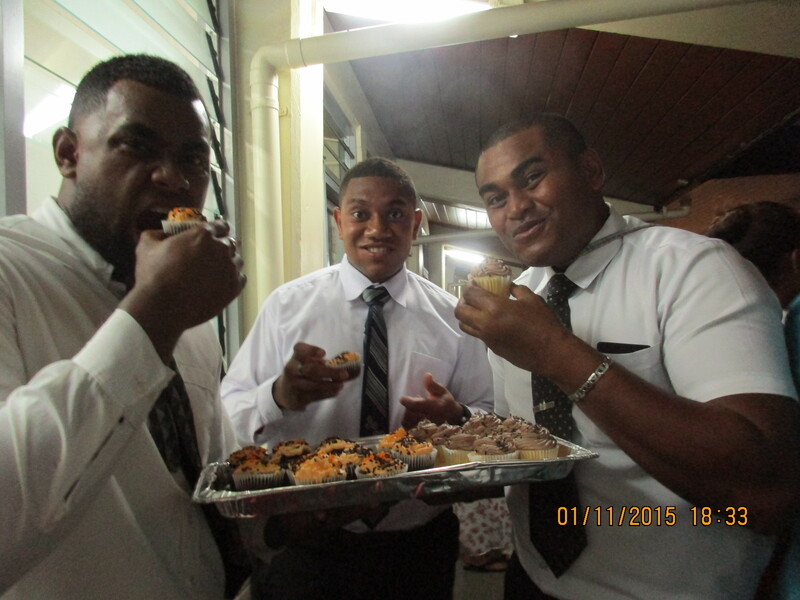 We had just enough time to come home, shower, and bake a little before we went to the baptism of Grace. Jatin, one of our YSAs, performed the baptism, and afterwards, two other new converts, John and Solisi, bore humble testimonies. Grace is an amazing person. 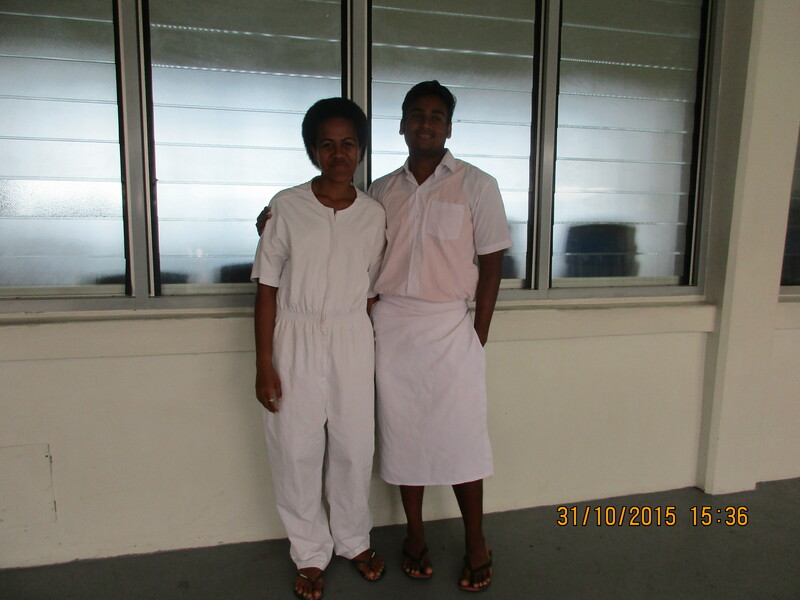 We’re happy for her — and happy to have one more YSA in our group. 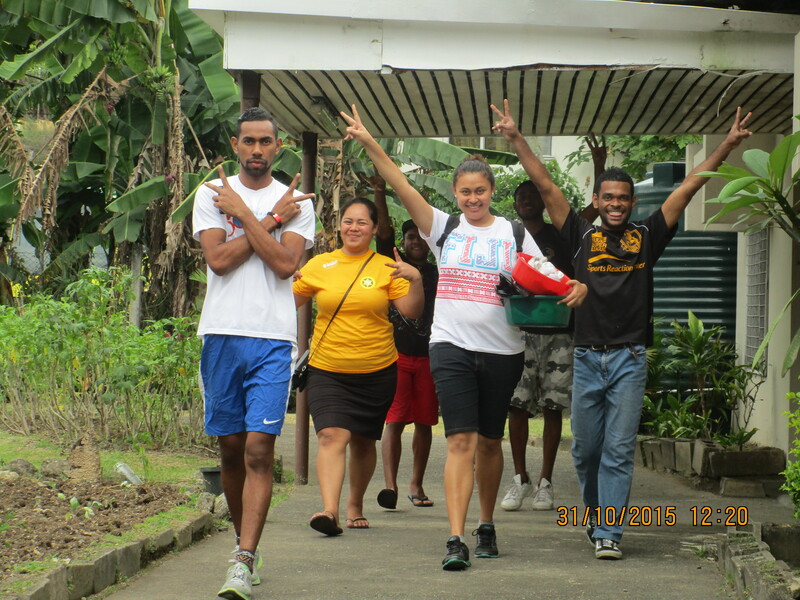 We made it home and finished baking just in time for our Halloween party at the Institute. No costumes, no tricks, but it was a treat to be together! 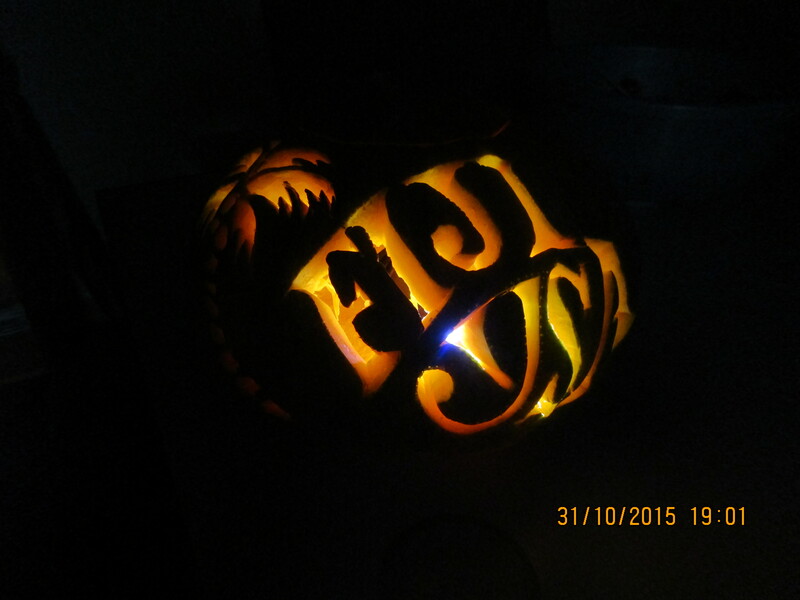 No one had carved a pumpkin before, so they had fun seeing how it was done. Next year we’ll carve a turtle! 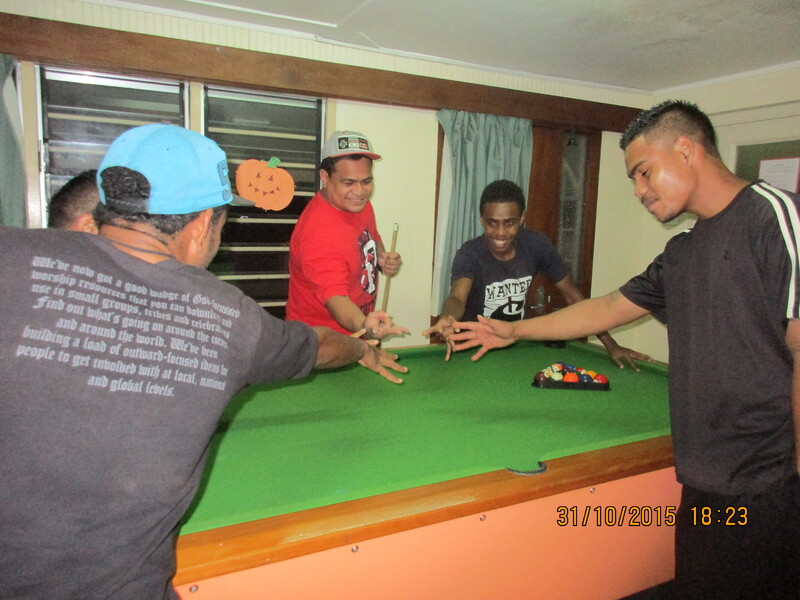 Paper-rock-scissors (“sapui”) to see who starts first playing a pool game Joey invented. Eight can play at one time, and they have a blast. 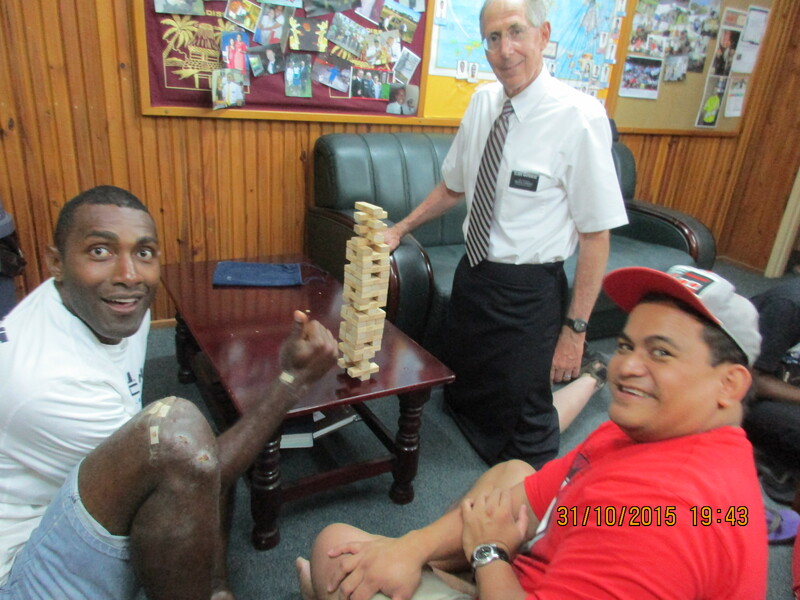 Mele and David’s only goal in playing Jenga is to beat Elder Whitehead at another game — they love to tease! 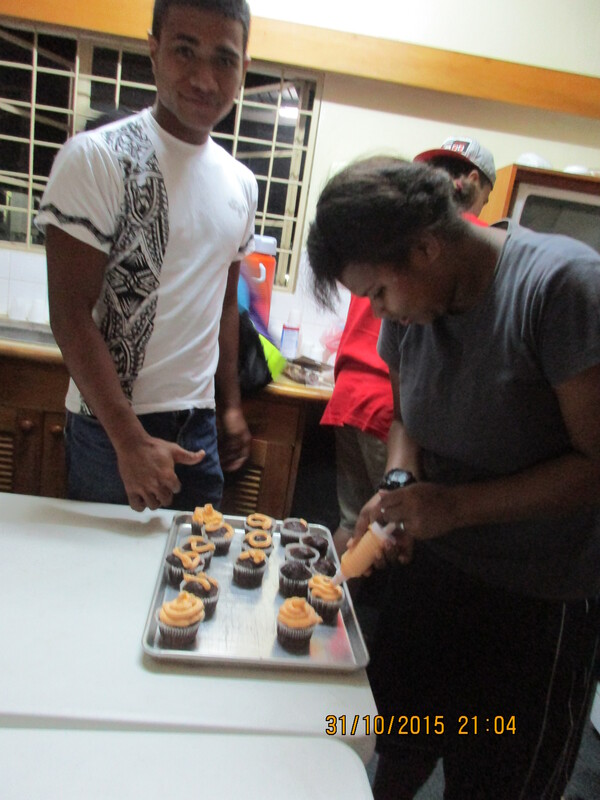 In the kitchen, Patrick, Bernie and a group demonstrated their culinary creativity decorating cupcakes for FHE. 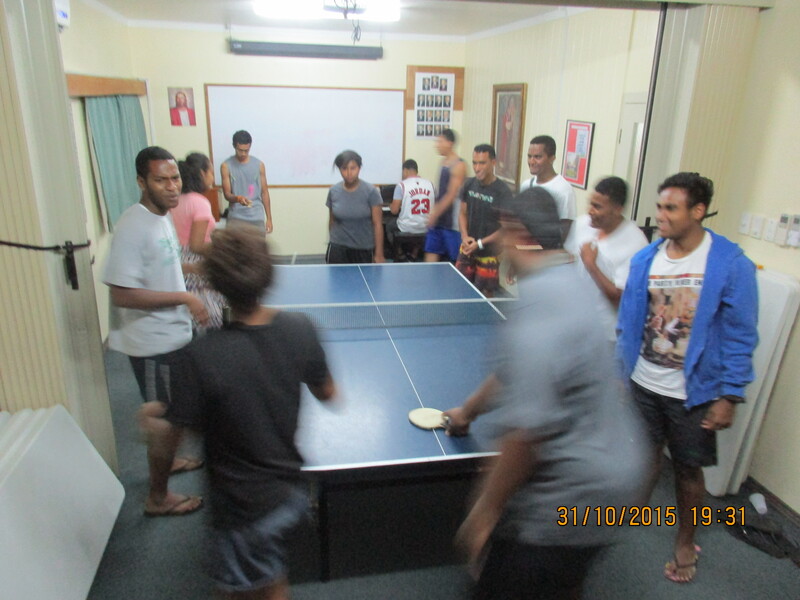 Sunday night we had a wonderful FHE with President and Sister Maiwiriwiri. 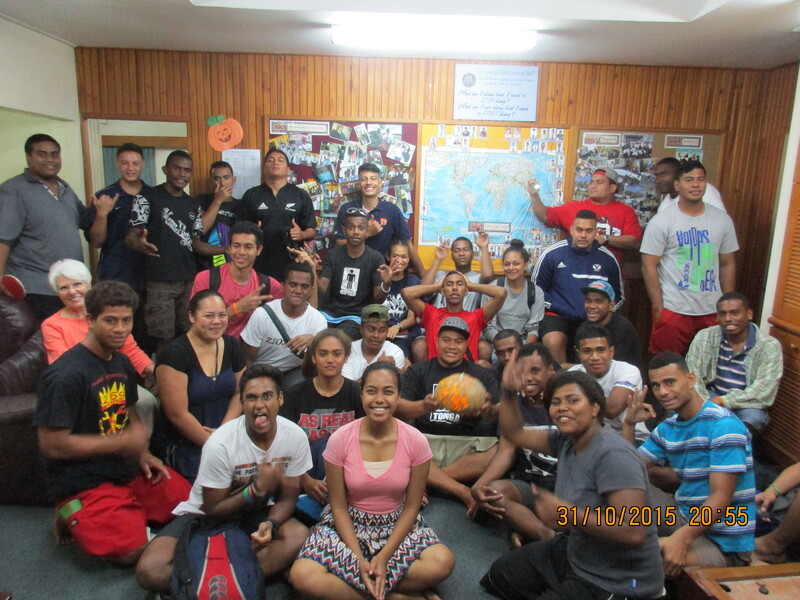 They talked about life after a mission, following the Spirit in setting priorities, and preparing for marriage. 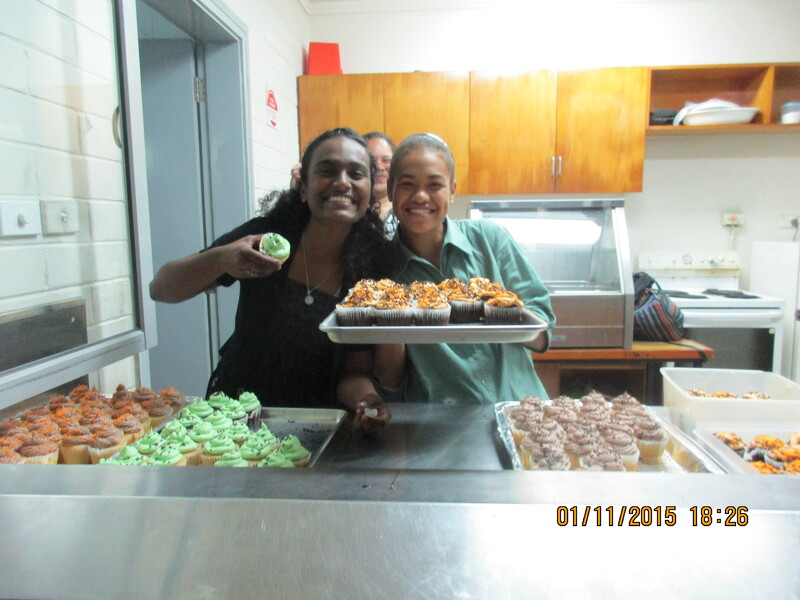 The ninety eight YSAs who attended appreciated the messages, loved being together, and definitely loved the cupcakes! Lydia and Savaira have service with a smile down pat! Your updates are wonderful! I love reading them every week, and the pictures add so much. I can feel your joy. I think of you so often. We miss you here, but wouldn’t have it any other way. I can’t wait until we can also serve!